Vietnam officially recognizes no fewer than 54 ethnic groups, of which the third largest are the Tai Dam. They have their own script that is used by three Tai languages spoken primarily in northwestern Vietnam, northern Laos, and central Thailand — Tai Dam (also Black Tai or Tai Noir, named after the characteristic black clothing worn especially by women), Tai Dón (White Tai or Tai Blanc), and Tai Song (Lao Song or Lao Song Dam). 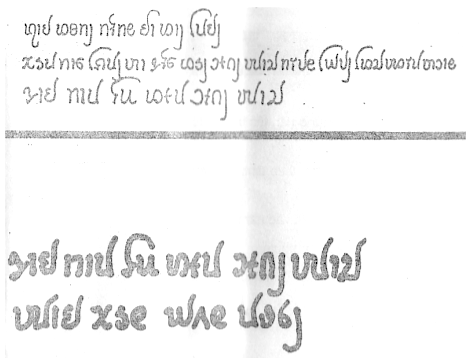 A fourth language, Tai Daeng (Red Tai or Tai Rouge, 165,000), uses a very related script. The name “Black Tai” originates from the traditional black skirts and headdresses worn by Tai Dam women. The black silk is embroidered with flowers and beautiful patterns. The belt is typically bright green. Tai Dam women still wear the traditional clothing, especially at ceremonies. Remarkably, the largest Tai Dam community outside Asia lives in… Iowa. Their story shines a light on the way in which minority groups are constantly in danger of being buffeted by their larger and/or more powerful neighbors, and how the resulting fragmentation puts their very identity at risk. “The original country of the Tai Dam was Sip Song Chau Tai or the Twelve Tai Principalities,” reads the Iowa-based Tai Studies Center website. “In 1888, this ancient country was colonized and annexed to Tonkin of Vietnam by the French. In 1948, it was established as a semi-independent state called the Tai Federation under the rule of France. Since 1954, and under the Communist Vietnamese, it has completely lost its identity as a nation, absorbed into the northwestern region of Vietnam. When Laos, too, fell to its communist forces, the Tai Dam were afraid they would face reprisals for siding with the French, and fled again, to Thailand. They petitioned for sanctuary in the U.S., and Iowa’s governor, Robert D. Ray agreed to resettle 1,500 of them — a refugee operation of such magnitude that it required a presidential exemption from Gerald Ford. The number has since grown to 10,000. 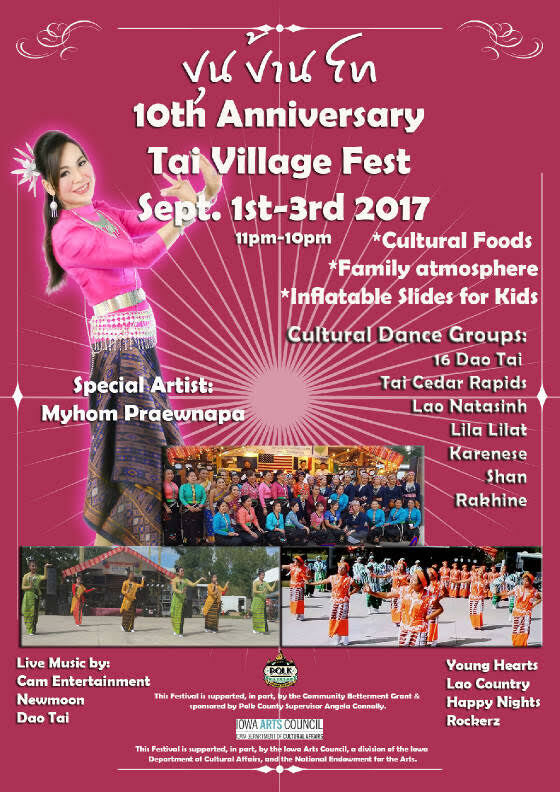 Currently the Tai Dam community holds two annual festivals at the village, on the Lunar New Year and over the Labor Day weekend. 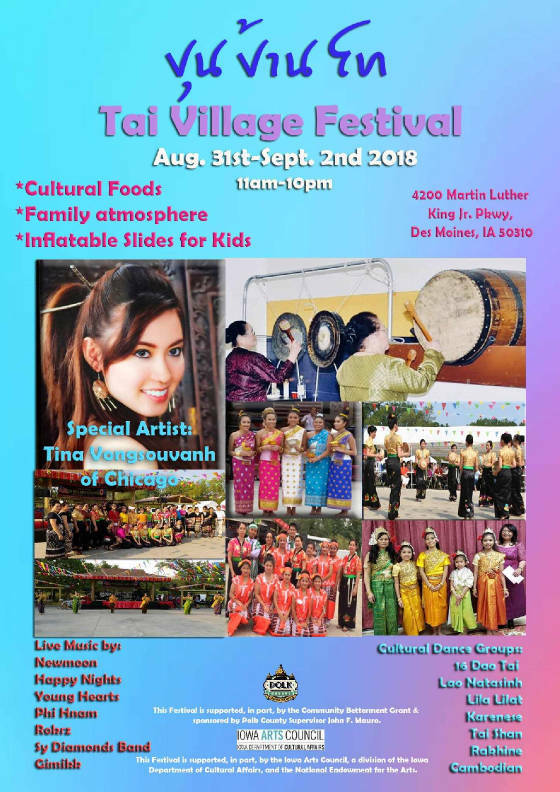 Siang Bacthi, executive director of the Tai Studies Center, estimates that attendance is roughly 70 percent Tai Dam, 20 percent other Asian, including refugees from Myanmar and Laos, and 10 percent from local Iowan communities. The Tai Studies Center has collected Tai Dam manuscripts and gathered written and oral versions of Tai Dam history for publication in the Tai Dam language. In spite of these activities, though, Siang Bacthi explained, the Tai Dam language and script are increasingly used only by those 40 or 50 years old and above. The younger generation speaks a mixture of Tai Dam and English. 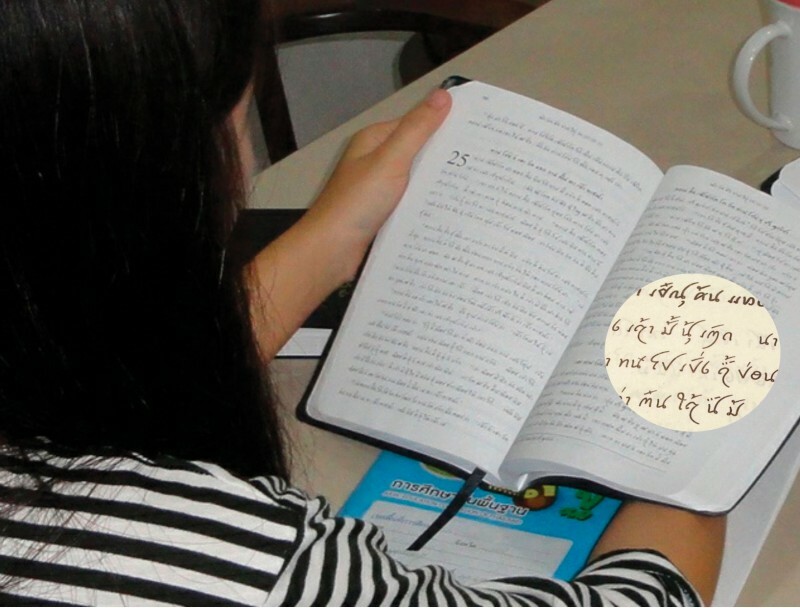 The Tai Studies Center have tried offering Tai Dam language classes, but they have been discontinued for lack of funds. Given the fact that any widely dispersed culture is in danger of fragmenting and losing its sense of shared ancestry and identity, the Iowa group makes a conscious effort to stay connected with and mutually support Tai communities in Southeast Asia. The health of the Tai Dam language and script varies considerably from country to country. In Thailand, where the Tai Dam are often referred to as Lao Song or Thai Song Dam and the script is called Lao Song, Tai Dam is now taught in schools in Tai Dam regions; Tai Dam can also own land, farm, and travel freely. At the other extreme, in northwestern Vietnam children are taught Vietnamese from a pre-kindergarten age, and although the government in theory backs mother-language education for ethnic minorities, no funding is available for teachers or textbooks. One scholarly estimate is that of the roughly 800,000 Tai Dam in Vietnam, there could be fewer than 1,000 who read and write the script fluently on an everyday basis.